Describes and illustrates the various parts of the human skeleton. Shows the inside of the bone and provides detail on the spine. 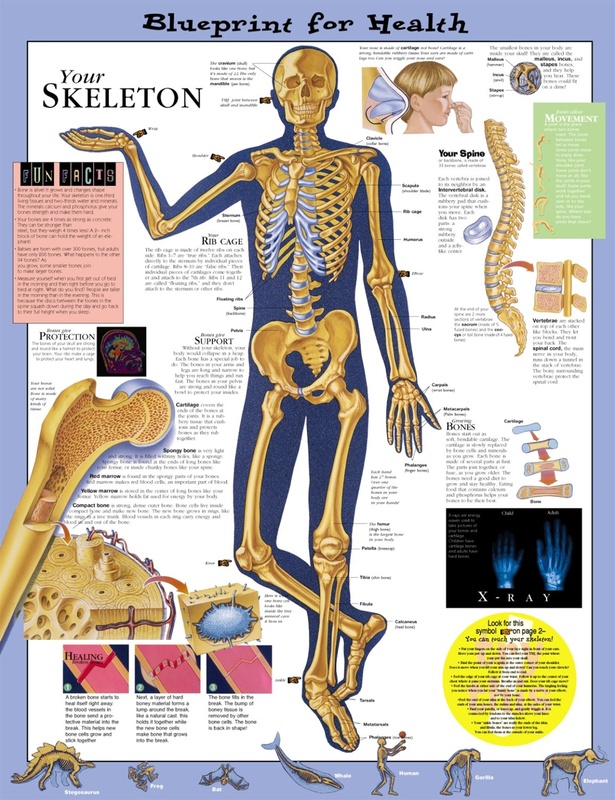 Describes how joints allow movement, how bones give support and protection, and how broken bones heal. Shows how bones grow and shows x-ray of a child’s hand next to an x-ray of an adult hand. Includes fun facts (“Your bones are 4 times as strong as concrete.”) and fun things to try in the classroom or at home to learn more about the skeleton. * Suitable for 8-12 year olds * Colorful, anatomically correct illustrations * Bright colors and bold figures make learning fun * Available in 2 mounting styles. For more info about chart mounting styles, click here.